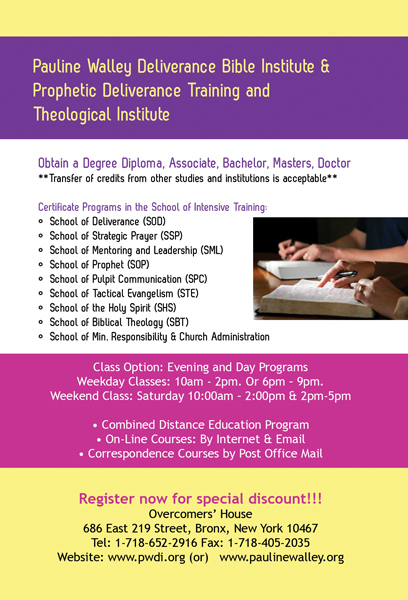 Training, Educating, Equipping and Empowering. 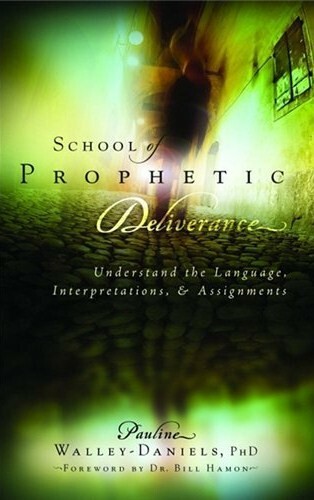 It’s time to study to show yourself approved unto God. Overcomers House, 686 East 219th Street, Bronx NY 10467. Go on line for all our books. 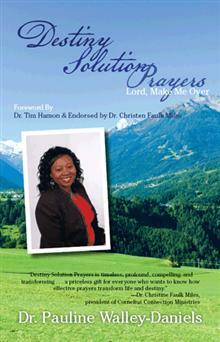 This very week, we shall also be meeting every night at Overcomer’s House from 7.00-8.00pm for intensive prayer. Tithing is the tenth portion of an income. The tithe belongs to the Lord, and it used to take care of the Lord’s servant in the church. The Lord will pour out blessing that there shall not be room enough to receive it. Lack of tithing is robbery, witchcraft, perjury, adultery, and idolatry. Pray that your tithing shall be a sweet aroma unto the Lord. The Lord shall smell your tithing and rain his blessings unto you in Jesus name. Pray that your tithe will speak for you in the presence of God. Pray that the purpose of tithing will be manifested in your life in Jesus’ name. Pray that you will reap the benefit of tithing in Jesus’ name. Pray your tithing will cause the Lord to fight all your battles against the devourer in Jesus’ name. Pray that all the years of tithing will become abundance of harvest unto you. Firstfruits offering represent the sacrifice of giving back to God the best of the first harvest of what He has given to us. It is an offering that God required from the Israelites. The first of the firstfruits of thy land thou shalt bring into the house of the LORD thy God. Pray that your firstfruits offering shall be a sweet aroma unto the Lord. The Lord shall smell your firstfruits offering and rain his blessings unto you in Jesus name. Pray that you shall be encouraged to give your firstfruits sacrifice with purity of heart and without fear in Jesus name. Pray that you shall not hold back anything from God as it was in the case of Ananias and Sapphire in Jesus’ name. Pray that the purpose of firstfruits shall manifested and fulfilled in your life in Jesus’ name. Pray that you will reap the benefit of first fruit in Jesus name. Pray that all the years of offering your first fruit sacrifice yield abundance of prosperity unto you in Jesus name. Offering is the freewill donation that one gives to appreciate God and to honor him as the Creator of all things and the giver of life. When you give, it shall be given unto you. Pray that your offering shall be a sweet aroma unto the Lord. The Lord shall smell the aroma of your offering and release unto you abundance of harvest in Jesus name. Pray that you shall always be able to give your offering with generosity of heart so that the Lord also shall be generous to you in every facets of your life. Pray that the many years of offering shall be a legacy of blessings to your family and posterity in Jesus name. Sowing is the act of planting seeds in order to generate growth, increase and multiplication in abundance. Pray that your sowing of your seeds shall be a sweet aroma unto the Lord. The Lord shall smell the aroma of your seeds and release unto you abundance of harvest in Jesus name. Pray that your seeds shall receive life to grow, flourish and yield abundance of fruits for harvest in Jesus name. Pray that your vineyard shall never lack seeds to sow in the vineyard of the Lord in Jesus name. Missionary and evangelistic offerings are contribution that people make to assist those who are involved in winning souls in different parts of the world and at home. It is a fund that is used to support both the welfare of the people involved as well as the activities that constitute the whole activities such as travel expenses, caring for the needing and providing Christian gospel literature to sinners and converts. Pray that your freewill missionary and evangelistic offering shall be a sweet aroma unto the Lord. The Lord shall smell the aroma of your offering and release unto you abundance of harvest in Jesus name. Pray that your offering shall be recognized as an instrument of carrying the gospel to the nations of the nations of the world wherever mankind is found. Pray the benefit of sharing the gospel shall bring abundance of blessings to you and your posterity shall never ignore the truth. They shall know the truth and the truth shall set them free in Jesus name. Pray that you shall be rewarded and replenished for sowing seeds for missions and evangelism for the advancement of the gospel of our Lord and Savior Jesus Christ. Sacrificial giving is to make a directly or indirectly offering to God by making an unusual effort to provide for a need whenever the support or assistance is requested. It is a high valued offering that is sometimes beyond human effort and comprehension. Acts 3: 1-9 – Silver and gold have I none, Peter and John gave healing to the lame. Pray that your sacrificial offering shall be a sweet aroma unto the Lord. The Lord shall smell the aroma of your sacrifice and release unto you abundance of harvest in Jesus name. Pray that you shall offer a choice sacrifice that shall attract the presence of the Lord, as Noah’s sacrifice did in Jesus name. Pray that your sacrifice shall be offered with meaning and understanding to fulfill a divine purpose in your life and destiny in Jesus name. Pray that your envy, jealousy, strife and hatred shall not interfere with your sacrifice as it was in the case of Cain who was angry with Abel’s righteous sacrifice. You shall not be killed because you offered a righteous sacrifice unto the Lord in Jesus name. The following instructions for the fast are retained, for the sake of those who are just joining us for the first time. 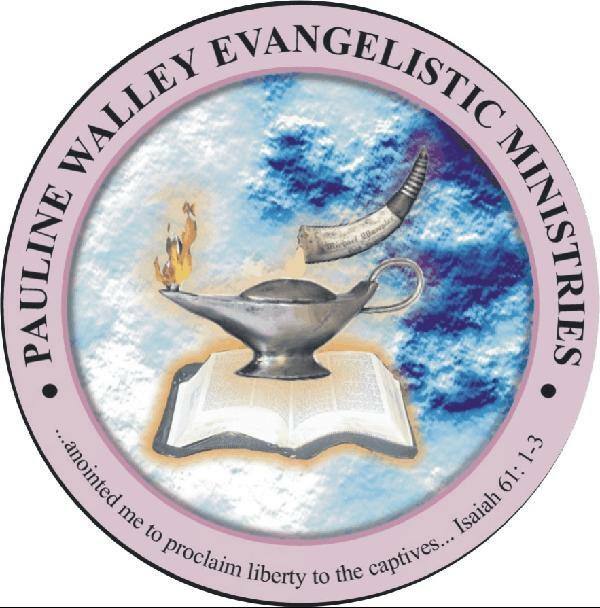 Strategic Deliverance Solutions: Discover and Destroy Ancestral Curse by Dr. Pauline Walley-Daniels (this is a handbook on fasting). *The purpose of the time option is to enable you to concentrate in praying with scripture in order to experience the presence of the Lord. Fasting without reading the word and praying is starvation. If you are on medication that demands you to eat and drink frequently, then go ahead and drink the appropriate liquid as your health requires. If you are not able to abstain from food, then stay on liquid and fruits. Eat vegetables and fruits with nuts or fish. No meat or poultry or heavy meal during the period of fasting. Eat all vegetables raw or cooked (steamed) with fruits. Thank you very much for participating and supporting this fast. May your needs be met in Jesus name! Pray that the words of your mouth shall be a source of wisdom in Jesus’ name. Weekday Classes: 10am – 2pm. Or 6pm – 9pm. Register now for special discount!! !